The Panasonic AG-3DA1 could have a dramatic impact on professional 3D video and film production in Canada, the company says, bringing them within the reach of small production shops, independent cinematographers, and consumers. The device started shipping earlier this month at a price point of $22,000. 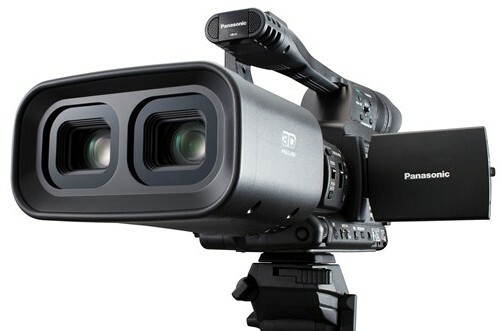 At a press briefing last week, Panasonic Canada also announced a 3D camcorder targeted at the consumer market — the HDC–SDT750. It’s slated to ship in October at a retail price of around $1,600. These devices, says Panasonic, eliminate the biggest barrier to 3D content production so far: prohibitive costs. He said Panasonic has addressed this issue by integrating all these complex capabilities within a single unit, using its proprietary technologies. The end result, he said, is a remarkably accurate device that eradicates many of the mechanical problems associated with rigs. Many users may not even buy the camera outright, but can rent it for a limited time. While independent cinematographers are likely to be the initial users, Panasonic expects the target market will expand very quickly. “The camcorder can be used in all kinds of environments — education, healthcare, sports, gaming and fashion,” said Masa Fukata, marketing manager, AV products, Panasonic Canada. Editing the captured 3D footage isn’t a complex process at all, according to Horbatuik. And the workflow itself, he said, is not very different from video editing in 2D. The plug-in needed to perform these functions within Adobe’s Premiere Pro CS5, for instance, is Neo3D from Cineform Inc. in Solana, Calif. In an exclusive interview with ITBusiness.ca, Colin Smith a senior solutions architect with San Jose, Calif. explained how the plug-in works. Other tools you would need to edit and playback 3D footage captured with the Panasonic camera include a production monitor and 3D glasses. 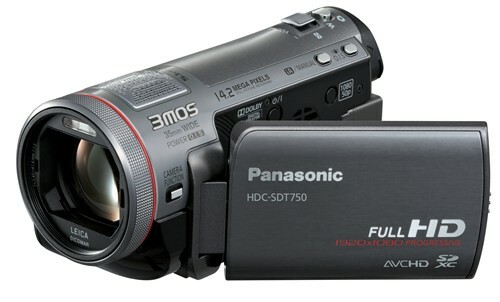 Panasonic’s second 3D camcorder offering – the HDC-SDT750 – ships in October and is targeted at the consumer market. Priced at $1,600, the camera itself shoots in 2D, but ships with a removable 3D conversion lens, which the user needs to attach to the fixed 12x Leica zoom lens. (The zoom feature isn’t available in 3D mode). The included 3D conversion lens is designed to record right-eye and left-eye images simultaneously through its two lenses, thus resulting in video that can be viewed in 3D. The right and left images (each with 960 x 1080 pixels) that enter through the lenses are recorded using the side-by-side method. Amateur videographers, who want to experiment a bit of 3D without laying out a whack of money on an expensive 3D camcorder can get some great tips from a comprehensive tutorial on Adobe TV titled 3D steroscopic editing with Premiere Pro CS5. It’s presented by Dave Helmly senior business development manager, DV/DI at Adobe. 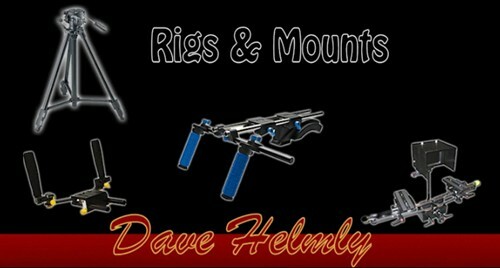 Helmly has also experimented with other rigs, such as one from Canon, on which he mounted two identical AVC HD cameras – costing under $500 apiece. For commercial 3D videography, however, this informal method of rigging up two cameras simply isn’t suitable as it doesn’t provide the level of quality assurance required, Helmly suggests. For such projects, says the Adobe expert, the Panasonic AG-3DA1 could be a great choice.